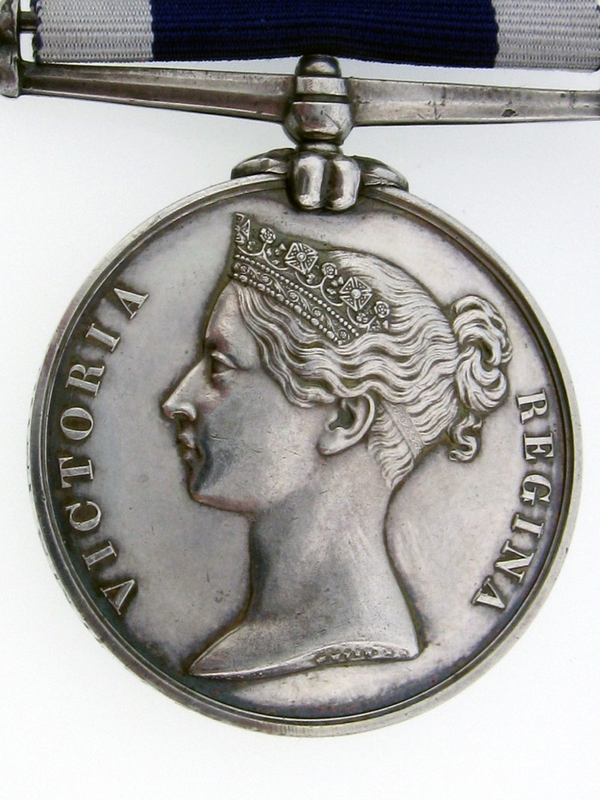 Victoria, wide suspender, officially engraved to "FRED R. NANSCAWEN CARPNTRS MATE H.MS. INDUS 21 YRS". 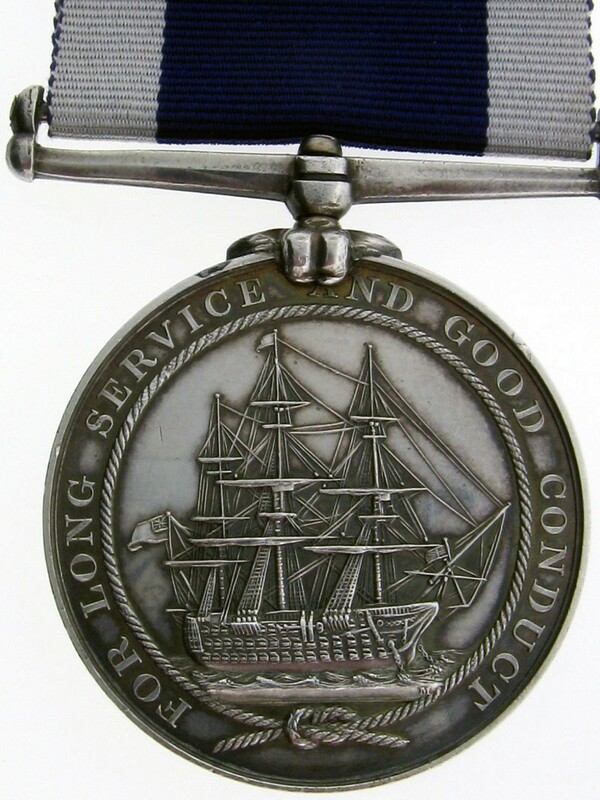 The medal is in nearly extremely fine condition. 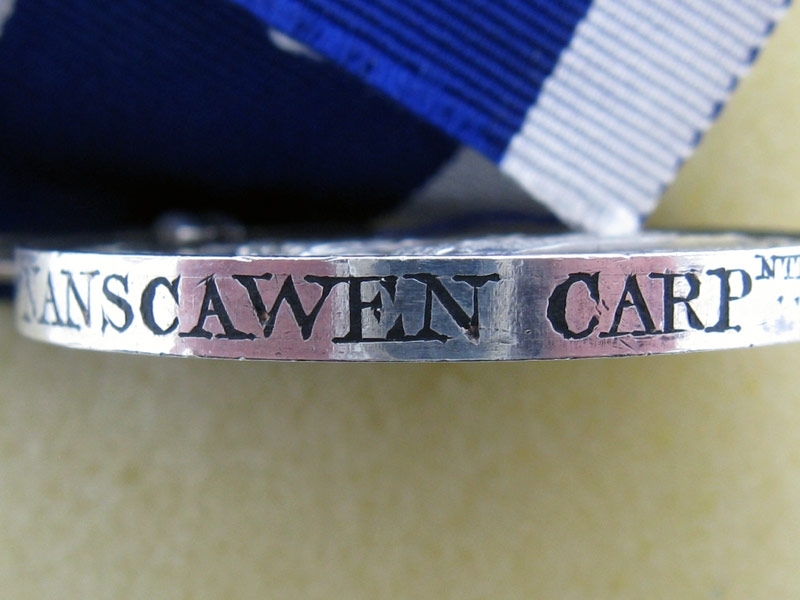 Born in Cornwall in 1826, Frederick H. Nanscawen, served on many ships throughout his 21 year service including, HMS Queen, Industrious, Conquerer, Galatea, and Favorite. 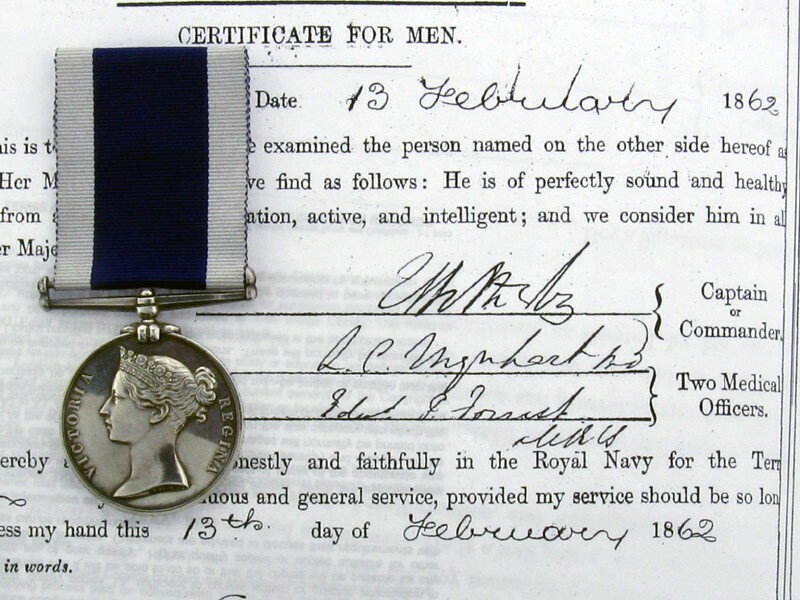 Beginning his service in July 1852 and finishing in February of 1872, Frederick was primarily a carpenters mate throughout his career. Included in this lot are 3 copied documents from the National Archives of Britain. In these records, it outlines his 21 years of service in Her Majesty?s Navy. Sold with copies of service records.